He will be inducted following the Pac-12 clinic July 21 in Tempe, Arizona. The group includes only about 25 former officials and supervisors, including two of his mentors, John Presley and Chic Sale, the only other former Spokane officials enshrined. “I’m honored and humbled,” Northcott said. The former Gonzaga Prep and Eastern Washington standout football player started his officiating career working high school games in Spokane in 1976. He joined the Big Sky Conference in 1979 and two years later was working in the Pac-10, where he spent 30 years as a back judge. In that time he received 21 bowl and preseason kickoff assignments that went to the No. 1-rated officials at their positions and worked two East-West Shrine games. He was assigned a bowl game in each of the last 11 years he was a field official. In 2011, when the Pac-10 became the Pac-12, Northcott was hired as an instant replay official, a position he continues to hold, and has worked six straight bowl games, including the 2018 Sugar Bowl, a CFP semifinal between Alabama and Clemson. Northcott was a three-sport athlete at G-Prep, earning All-City honors as a junior and senior in football, basketball and baseball. He was a two-way starter on the 1963 Bullpups who went undefeated and won the mythical state football championship. A three-year football starter at Eastern and a member of the ’67 team that played for the NAIA National Championship, he was selected one of the “100 for 100” in 2008 as the school celebrated 100 years of football. Before getting into officiating, he served as an undergraduate and graduate football assistant at Eastern and worked a year as a graduate assistant for his former Eastern coach, Dave Holmes, at Hawaii while getting a master’s degree. Jackie Nared, who has two recent stints in the Pac-12, and Katie Shepard, who served with her boss at Northern Colorado last season, are the latest additions to the staff of new Washington State women’s coach Kamie Ethridge. Nared, who Ethridge said will hold a full-time recruiting position, spent last season at Oregon as the director of creativity and video. The two years before that, she was the director of player development at Washington. Nared was a two-time, first-team All-WCC guard at Saint Mary’s, where she led the league in scoring as a junior and senior, and spent two years playing professionally in Europe, where she gained all-star recognition both years. Shephard will be the Cougars’ video coordinator, Ethridge said. She was a bench coach for Ethridge last season. Shepard, who played at Sacred Heart University, got her coaching start at the high school level while working on a master’s degree at her alma mater. It was the ultimate tribute to Vanessa Shippy, who has accumulated an arm-load of honors during her stellar softball career at Oklahoma State. All-American. First team. The National Fastpitch Coaches Association announced that the Cowgirls’ senior third baseman from Lake City was named to an at-large position on the 18-player Division I first team. It is the third time that Shippy, the 2016 and 2018 Big 12 Player of the Year, has been an All-American after earning third-team honors in 2016 and ‘17. Her 2018 season was record-breaker – a school-record 73 runs and .613 on-base percentage, both surpassing marks she set as a sophomore. Her .471 batting average, 57 walks and 81 hits were all second-best single-season totals in school history. She leaves OSU with 12 season or career records. The batting average, on-base percentage, runs and walks all lead the Big 12 and are among the top five nationally. The Coeur d’Alene native was twice named national player of the week in 2018 and three times was Big 12 Player of the Week. She also was selected 11th in the National Pro Fastpitch College Draft, going to the Cleveland Comets, and was one of several elite players invited to join the Scrap Yard Fast Pitch start-up organization this summer in Conroe, Texas. • NWAC champion North Idaho collected all the major awards and six first-team slots when the NWAC Eastern Region softball all-star teams were announced. Sophomore Kayla Curtan was named Most Valuable Player, Freshman Madi Mott was Pitcher of the Year and head coach Don Don Williams led the Coaching Staff of the Year. The East first team included sophomore infielders Kalyna Korok and Kennedy Anderson, freshman outfielders Ashlyn Winn and Jori Kerr, sophomore utility player Megan Carver, and Mott as the DH/DP. Community Colleges of Spokane placed sophomore infielder Hannah Springs on the first team and sophomore catcher Katelyn Sage (West Valley) on the second. • Naomi Harris, a junior outfielder at Corban University in Salem from Lewis and Clark, was named a 2018 Daktronics-NAIA Scholar-Athlete in softball in her first year of eligibility with a 3.5 GPA or higher. • Riley Sine, a 2016 Central Valley graduate, earned NAIA Track & Field All-America honors for an eighth-place finish in the men’s 5,000 at the national championships last weekend in Gulf Shores, Alabama. The sophomore at Northwest University in Kirkland, Washington, ran 15:04.98. • Lewis-Clark State freshman Delaney Warren from Mt. Spokane placed 10th in the discus at the NAIA National Track and Field Championships last weekend in Gulf Shores, Alabama. The two-time Washington State 3A third-place finisher threw 136 feet, 11 inches, just shy of the qualifying mark to advance to the final eight. • Seattle Pacific sophomore Scout Cai from Colfax finished ninth in the heptathlon at the NCAA Division II Track & Field Championships last weekend in Charlotte, North Carolina, to earn a second All-America award, landing on the second team. She scored 4,929 points, with her best finish a third in the 800 meters. She was on the first team with a fifth in the pentathlon at the indoor championships. • Three local athletes are among seven from area colleges who have been named to 2017-18 Google Cloud Academic All-District 8 Men’s and Women’s Track & Field/Cross Country first teams selected by the College Sports Information Directors of America. Whitworth landed three on the Division III team, including senior Kayla Leland from Gonzaga Prep. She was named to the women’s team with a 3.94 GPA as a health science/Spanish major. Teammate Marissa Mount was also on the 11-woman team with a 4.0 in accounting/finance. The DIII 10-man men’s team includes Whitworth graduate student Andrew Bloom with a 4.0 in administrative leadership. Scout Cai, the SPU sophomore from Colfax, is on the Division II women’s team with a 3.67 in exercise science. The 10-man Division I men’s team includes Washington State junior Kyler Little from Lake City with a 4.0 in mathematics and junior teammate Chandler Teigen with a 3.96 in biological engineering. Gonzaga senior Jordan Thurston was named to the 10-woman Division I team with a 3.95 GPA in accounting. All are eligible for academic All-America teams. • Cai is also on the Great Northwest Athletic Conference women’s track & field All-Academic team that also includes Northwest Nazarene sophomore Jackie Mahowald from Lakeside of Nine Mile Falls with a 3.86 GPA in nursing. The GNAC men’s All-Academic team includes Central Washington junior Corbin Carlton from Mead with a 3.58 in business administration. • Whitworth’s Leland, Mount and Bloom also earned All-America honors at the 2018 NCAA Division III Outdoor Track & Field Championships. Leland earned her third award of the school year with a second in the steeplechase, where Mount was fourth, and Bloom finished third in the javelin to become an All-American in the event for a third straight year. • Leyland, Ian Kolste, Joel Condreay and Megan Thompson were given the Whitworth athletics department’s year-end senior awards. Kolste, the Whitworth quarterback who completed his stellar football career as the Northwest Conference Player of the Year, received the Dennis Spurlock Award, honoring the school’s late former All-American quarterback. 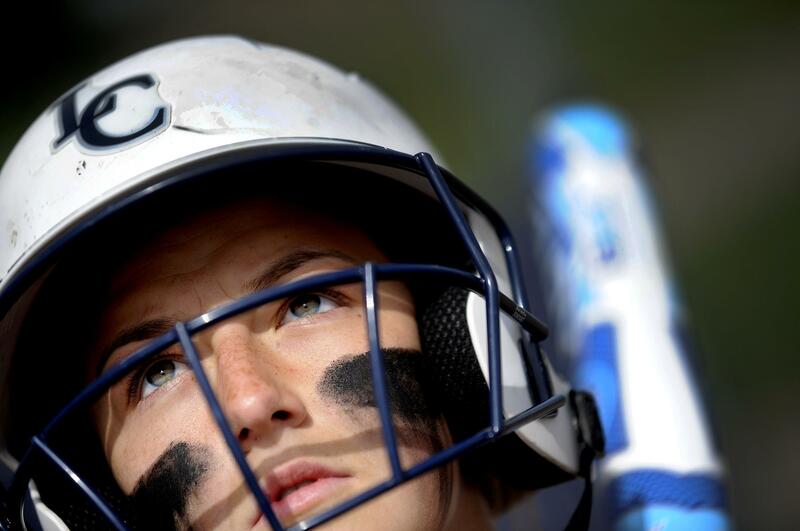 Leland (Gonzaga Prep), who capped her career with two cross country and four track & field All-America awards, and Condreay, who led the Pirates’ baseball team in several categories, including batting .355, were selected the Senior Athletes of the Year. Thompson (swimming), who overcame adversity to be a leader in the pool, received the Aaron Leetch Inspiration Award honoring the late former Whitworth athletic director who died in a 2015 plane crash. • Six players from North Idaho and four from Community College of Spokane were named to All-NWAC golf teams. The NWAC men’s champion Cardinals landed four - sophomores Sean Langham and Todd Henderson on the first team and sophomore Brady Nelson and freshman Ben Harvey on the second. Madi Brown from NIC was named to the women’s first team and Mikal Jerman to the second. Both are sophomores. CCS selections were freshmen Chase Mitchell (Coeur d’Alene High) and Jake Larson on the men’s second team and freshman Shelby Baum and sophomore Kelci Parker to the women’s first team. • Natalie Pluskota, Gonzaga’s second-year assistant women’s tennis coach, has been named a tasc Performance International Tennis Association Assistant Coach of the Year and the team earned the ITA Community Service Award for the Northwest Region. With Pluskota assisting head coach D.J. Gurule, GU finished second in the WCC for a second straight year and had five players receive All-WCC honors. The service award goes to just one school within a region for its work in the community. Steve Oliver, who had been on the Idaho staff the last two seasons as an offensive graduate assistant, has been hired as the Mark Vaught Director of Football Operations, Vandals head coach Paul Petrino announced. Oliver, who has been the offensive line coach coach at Montana State-Northern since January, returns to Moscow where he will be responsible for day-to-day operations and serve as recruiting coordinator. The position was named in honor of a former director of operations who died in 2014 at the age of 31 after a battle with cancer. Vaught started at Idaho in 2008 and rose to the position of assistant athletic director/football operations. Eric Ansett, former Lipscomb University (Tennessee) standout from Spokane, had a productive month in Tennessee. Last weekend, The Oaks Academy graduate who played at Ferris, finished second in the Tennessee Open after opening with the low round of the tournament, an 8-under 64, when he had two eagles and four birdies. Earlier in the month, he was second in a U.S. Open local qualifier in Jackson, Tenn., shooting 5-under 67 with eight birdies, and advanced to Sectional Qualifying this weekend in Roswell, Georgia. The Greater Spokane League, in conjunction with the National Electrical Contractors Association and the International Brotherhood of Electrical Workers, announced spring sports winners of the 17th annual NECA/IBEW GSL Award. NECA/IBEW, which encourages high school students to consider a career in the electrical construction field, and the GSL select a girl and boy from each school for demonstrating superior balance in academics, athletics and community involvement. Central Valley - Kelsey Gumm, fastpitch softball; Brayden Hamilton, baseball. Ferris - Anna Garrett, fastpitch softball; Sean Agar, tennis. Gonzaga Prep - Maddie DeMarco, fastpitch softball; Josh Grimes, baseball. Lewis and Clark - Megan Jurasin, fastpitch softball; Zak Deutschman, soccer. Mead - Ciara Harding, fastpitch softball; Adam Nevdahl, soccer. Mt. Spokane - Toryn Carty, tennis; Bo Jensen, track & field. North Central - Paula Pintler, fastpitch softball; Ryan Hildahl, tennis. Rogers - Gracie Olsen, fastpitch softball; Ethan Starosta, baseball. Shadle Park - Sophia Votava, tennis; Tony Pizzillo, track & field. University - Gracee Dwyer, fastpitch softball; Blake Dickinson, soccer. Derek Ryan, Spokane’s home-grown former Chief, wound up with four goals and three assists for the United States, which compiled an 8-2 record and defeated Canada 4-1 in the bronze-medal game at the IIHL World Championships last month in Denmark. Former Chiefs Dominic Zwerger (2013-16) had two goals and Stefan Ulmer (2007-10) had one assist for Austria, which went 1-6. Rikard Gronborg, a Chiefs assistant in 2004-05, coached Sweden to the gold medal with a 3-2 shootout win over Switzerland. Montana State-Northern football – De’Quon Noble, North Central, LB; All-GSL 3A. Washington State women’s basketball - Michaela Jones, G, Wymore, Nebraska. Carroll College track & field/cross country – Anne Hockett, Oakesdale, 400m, 100m hurdles, 300m hurdles, 400m hurdles; Emma Perry, Oakesdale, HJ, 800m; Spencer Swaim, Lewis and Clark, cross country, 1,600m, 3,200m; Evan Childears, Mead, PV; Jake Smith, Moscow, Idaho. Jasmine Devereaux and Tom Haydon from the Spokane Softball Umpires Association and Mark Taylor and Kellen Martin from the Palouse Umpires Association in baseball, among 22 area officials assigned to high school state championships this spring, worked their first state tournaments. Devereaux was in the Washington 1A championship in Richland and Haydon in the 2B/1B in Yakima. Taylor was assigned to baseball’s 2A/1A Final in Yakima and Martin, who is from Moscow, Idaho, to the 1B Regional in Walla Walla. Washington baseball – Frank Wintersteen, Inland Empire Baseball Umpires Association, 4A/3A Finals, Pasco; Jeff Golding, IEBUA, 4A Regional, Spokane; Kevin Wellington, IEBUA, 3A Regional, Pasco; Jeremy Burkhardt, IEBUA, 2A Regional, Spokane; Kevin Wolfe, Colville Valley, 1A Regional, Moses Lake; Ryan Olson, IEBUA and Steve Piretroburgo, Colville, 1A Regional, Spokane; Paul Sorensen, IEBUA, 1B Regional, Walla Walla. Washington softball – Kathleen Burns, SSUA, 4A umpire in chief, Spokane; Jake Perry, SSUA, 4A; Marty Boles, SSUA, 3A, Lacey; Craig Adams, SSUA, 2A, Selah; DJ Postle, Palouse, 1A, Richland; Bruce Richartz, Colville Valley, and Mike Carlson, SSUA, 2B/1B, Yakima. Idaho softball - Leanne Brenner, Sagle, and Kevin Campbell, Bonners Ferry, Idaho District 1, 3A, Buhl. Washington soccer - Jason Damschen, Inland Empire Soccer Referee Association, boys 1A & 2A semifinals, Shoreline; 3A & 4A finals, Puyallup. Mattea Nelson of Northwest Christian, who has blended athletics, academics and community service through four years of high school, has been selected as the 2018 recipient of the Inland Empire Softball Hall of Fame Doug “Pops” Bender Scholarship. The Crusaders’ mainstay pitcher the last three years, “puts the success of the team first,” said her coach, Renee Stewart, noting Nelson stepped out of the circle some this season to play shortstop so the team’s freshman pitcher could see game action. Nelson, a three-time Northeast 2B League North Most Valuable Player and four-time all-league selection, pitched the Crusaders to the State 2B championship last month. The 16th recipient of the Bender scholarship, she has a 3.67 GPA and has been a member of the National Honor Society for three years. Nelson plans to use the $1,000 award to attend Northwest University in Kirkland, Wash., and continue her softball career. She will be recognized at the 42nd IESHOF banquet and induction June 23 at the Spokane Eagles Lodge, 6410 N. Lidgerwood. A no-host social at 4 p.m. will precede dinner at 6 with awards to follow. Cost is $25 for adults, $12.50 for children under 12. Slated for induction are seven players, one honored as both a player and sponsor; a coach; an umpire; and a Team of the Decade. Players: Gary Firster, men’s modified; Terry Walker, men’s fastptch and modified; Wade Liberty, men’s modified; Vince Grippi, men’s fastpich; Len Pupo, men’s fastpitch; Fred Farrell, men’s slowpitch, fastpitch and modified; Drew Brooks, men’s fastpitch and sponsor. Coach: Ross Yearout, modified. Umpire: Randy Harnasch. The Juris Doctorettes/Spokane Lilacs women’s modified team was selected a 1980s Team of the Decade. The 1978 B&E Trophy men’s modified team, the first Spokane team with a top-four national placing, will also be honored. Ticket info: Dan Fry, 624-5842. Published: June 2, 2018, 4:24 p.m.